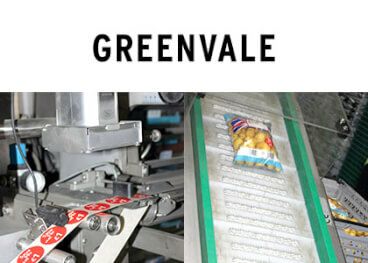 Greenvale is one of the UK’s leading suppliers of fresh potatoes. Until recently, it had a packaging problem - the wrong labels were used too often. The solution seemed simple: use an Omron vision system to check. 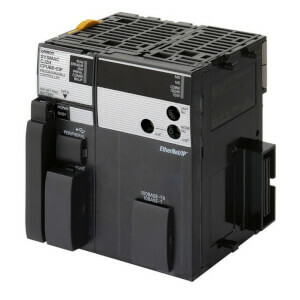 However, if the operator loaded the wrong kind of label in the first place, he would probably enter that label type into the control system – so the error would still go unnoticed. 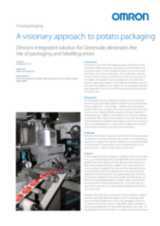 Analysis by Omron found that when a new order is set up on the packaging line, Greenvale’s ERP system can download all of the order data as a CSV file. All that was needed was to find a way of making this data available to the vision system. For most automation suppliers, this way would have involved expensive software. 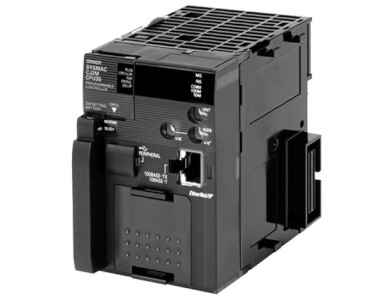 But not for Omron’s CJ1 PLCs, which can communicate with external computers. The monitoring system is now operational and fully meets expectations. “Right from the start, Omron could not have been more helpful and responsive", says Andrew Kwa, Greenvale’s Operations Analyst.